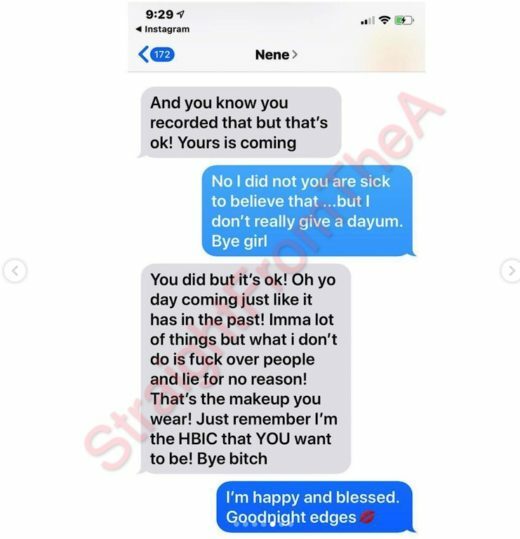 Nene Leakes went LIVE on her new YouTube channel last night to vent about a lot of what’s being said about her in the media. 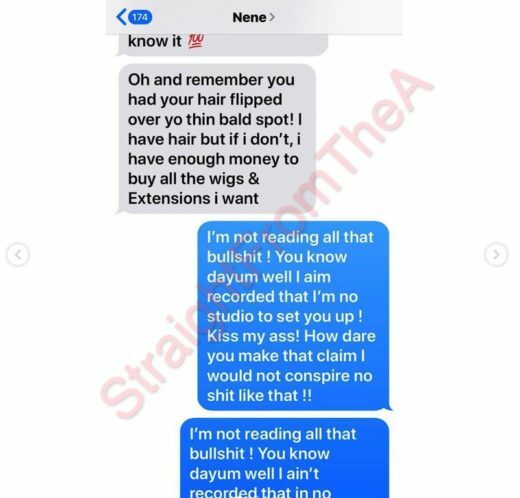 The “Read and Shade” title alone suggested that the video was about to be filled with lots of sipable moments. 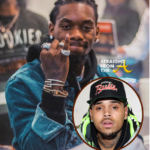 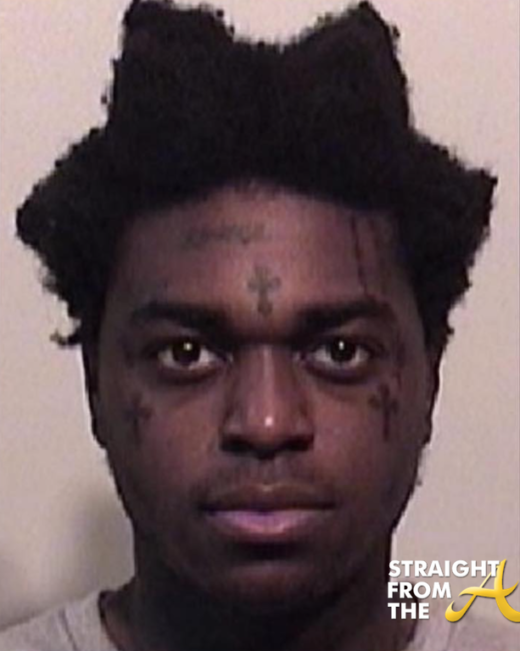 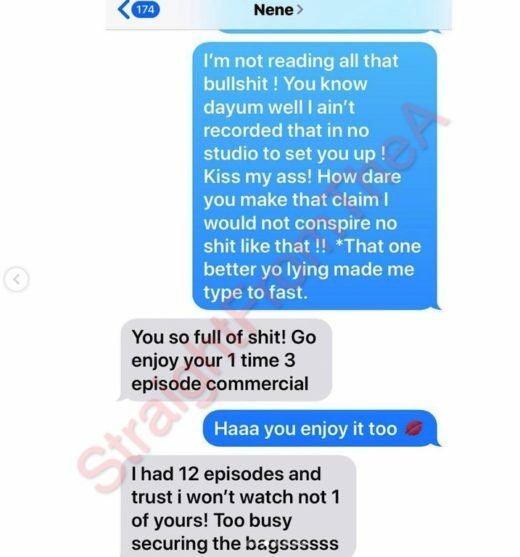 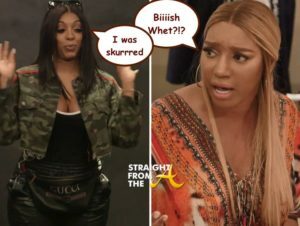 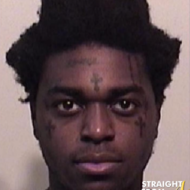 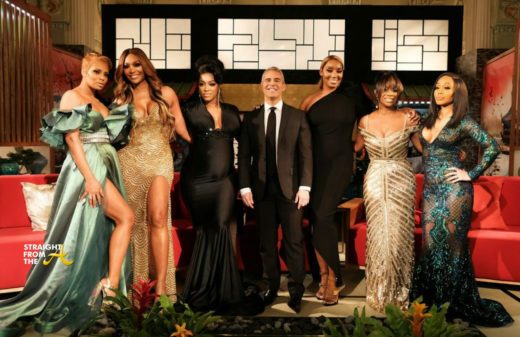 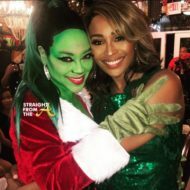 In the 45 minute shady video above, Leakes hit the net addresses several issues, including being accused of physically attacking Williams after Porsha went into the closet after being told not to. 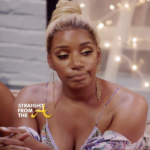 Nene feels that both Kandi and Porsha were being disrespectful when they disregarded her protests and that she merely stopped the camera man from following them inside. 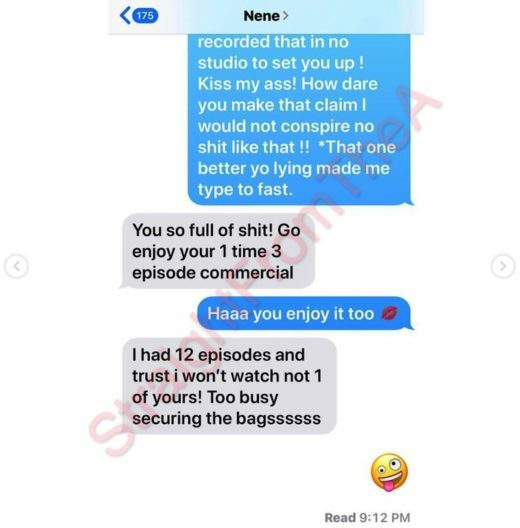 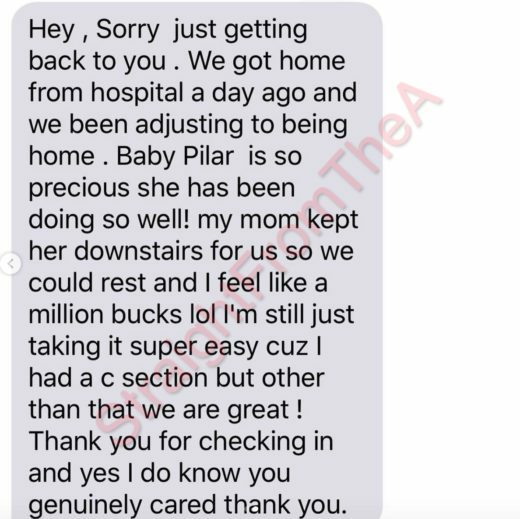 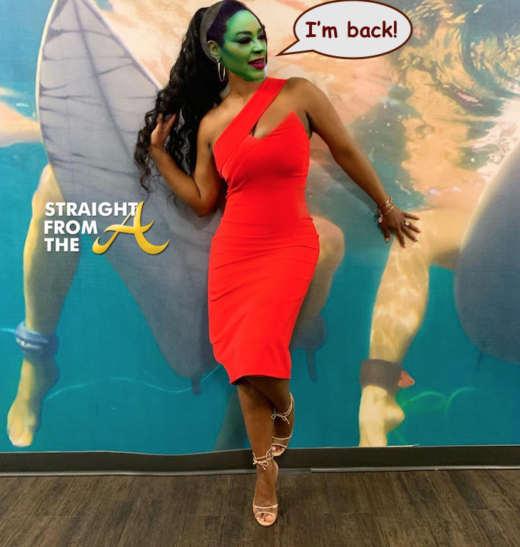 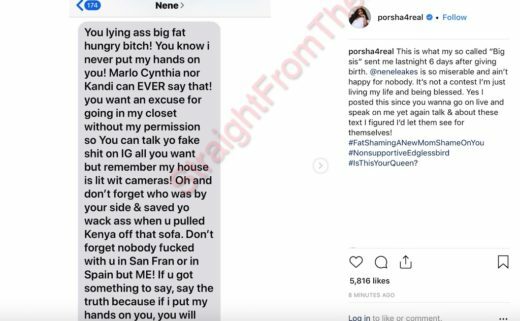 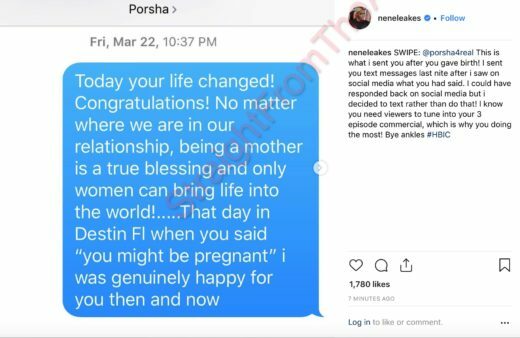 Porsha hit Instagram to respondwith the following, stating that she’s shocked that Nene is dragging her just 6 days after giving birth. 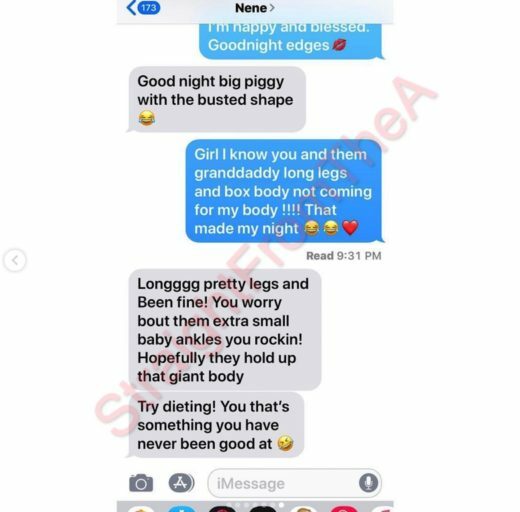 Meanwhile… Nene has responded online with a few texts of her own. 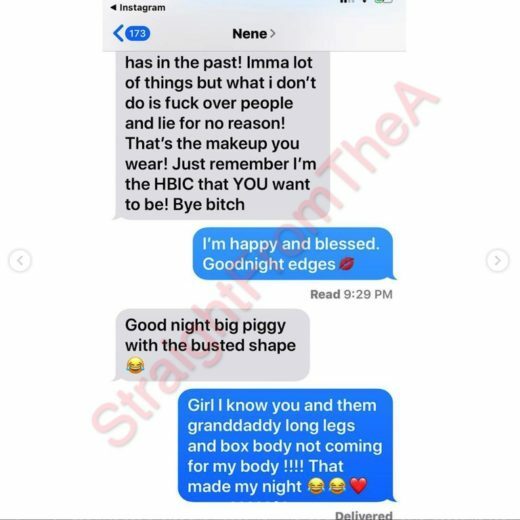 What are your thoughts about these two going in on each other online?